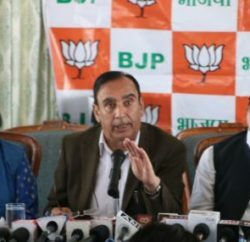 In a Press communiqué Vice President Himachal Pradesh Congress Committee Harsh Mahajan and General Secretary HPCC Sudhir Sharma targets BJP led Govt and alleged that the present Govt is involved in unprecedented corruption during last five years. 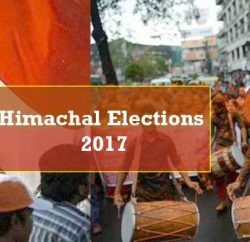 They alleged that the present BJP Government is the most criminals dominated government that the Himachal ever had. According to the affidavits submitted by the candidates at the time of last assembly elections there are criminal cases pending against 8 out the 11 Ministers in the present Council of Ministers. They added that even there are criminal cases pending against 24 out of 41 MLAs of BJP. 1. Dr. Rajeev Bindal: is an accused in five criminal cases, using as genuine a forged document, forgery for purposes of cheating, forgery of valuable security, cheating and dishonestly inducing delivery of property, criminal intimidation causing hurt and restoration of property, committed theft of property endangering life of others, use of criminal force against the public servant, wrongful restraint. 2. Narinder Bragta: assault on a public servant, voluntarily causing hurt and criminal intimidation. 3. 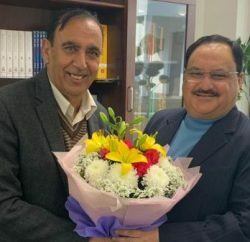 Ishwar Dass Dhiman: obstructing public servants, use of criminal force against the public servants, voluntarily causing hurt to public servant and criminal intimidation. 4. Ramesh Chand: wrongful restraint. 5. Chief Minister P.K. Dhumal: defamation and obstructing public servant in discharge of duties. 6. Ravinder Singh is accused in four cases involving criminal force, voluntarily hurt and rioting. 7. Sarveen Choudhary is accused in two cases involving mischief, causing damage and criminal trespass. 8. Kishan Kapoor is accused in two cases involving rioting, wrongful restraint, criminal conspiracy, using tokens used by public servant with fraudulent intent and criminal intimidation. Seven MLAs of BJP have serious criminal cases pending against them. 1. Satpal Singh Satti: 13 criminal cases, assault, committing theft of property, house trespass, wrongful restraint, criminal intimidation, rioting, kidnapping, abducting. 2. Ravindra Singh Ravi: kidnapping and abducting. 3. Rakesh Pathania: wrongful confinement for 3 days. 4. Sarveen Chowdhry: kidnapping, abduction. 6. Renu Chaddha: Forgery of valuable security, forgery for cheating, causes disappearance of evidence, giving false information to protect offender. 7. Vinod Kumari: cheating and dishonestly delivery of property. Congress leaders accused that Chief Minister P.K. Dhumal and his 24 MLAs are also guilty of looting the government revenues and treasury for the last 5 years and have brought Himachal to the verge of bankruptcy with successive deficit budgets for the last 3 years. They claim that the surplus budgets of the Congress turned into deficit budgets in the last 3 years during the BJP rule. These deficits squarely arose on account of pilferage of the government revenues by the criminal Council of Ministers of the BJP Government.